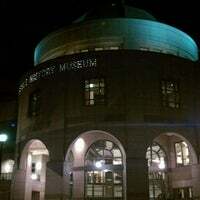 FANTASTIC Texas history museum with an incredible IMAX theatre, located conveniently walking distance to the UT campus. A little pricey, but a great date-night or Austin staple you HAVE to experience! Drove all the way to Austin for this. Nice collection of artifacts. Very friendly docents. Nice restaurant with plenty of healthy food choices on 2nd floor. Imax theatre is re-opened. Great place to explore the start of our great state... They are re constructing a ship that is going to be the main attraction on the first floor....it's so cool!! One of our favorites in the IMAX experience is Texas: The Big Picture. You know what they say-everything's bigger in Texas especially when you put it on an IMAX screen! One of the new museum designs that incorporates a lot more interaction with the exhibits than and older museum would have. 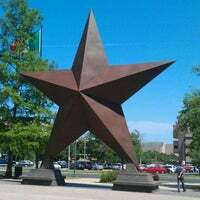 It houses an IMAX theater and a theater which shows the story of Texas. Lots of interesting history about Texas and how it came to be. Cheaper deal for students so bring your student ID. You can't take photos in the exhibits, although there are giant dioramas and backgrounds that sorely tempt amateur portrait photographers! My son had a blast and we spent almost five hours here. 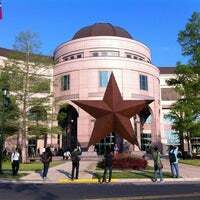 You're not in Texas till you've been to the Bullock Texas State History Museum. Here's where you'll learn about every facet of Texas: cattle, oil, space and, of course, the big battles. I learn so much every time I come, They have great rotating exhibits. The staff and volunteers are incredibly helpful as well. 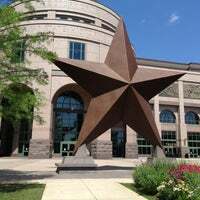 Tells the “Story of Texas” with three floors of interactive exhibits, the special effects show, The Star of Destiny, in the Texas Spirit Theater, and Austin's only IMAX Theatre. If you're a student make sure to go! Otherwise, look for a discount day bc it's a bit overpriced. While you're here, walk across MLK to see the Blanton on campus! Great museum! 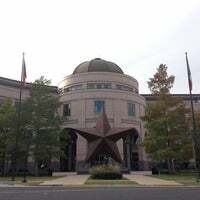 Check out the Texas History portion of the museum, as they have awesome exhibits. Nice museum of Texas history with a great temporary exhibit on slavery upstairs. Don't miss it! This museum was opened in 2001 and was designed by E. Verner Johnson, the designer of many famous museums in the U.S. $80 Million in bond revenues was donated for the construction of this museum. Check out the touchscreens on the second floor to go through different Texas historical periods. 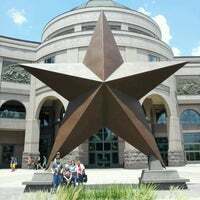 Go early, buy your IMAX or 3D movie tickets, and then learn about The Story of Texas in this world-class museum while you pass the time. For all ages. 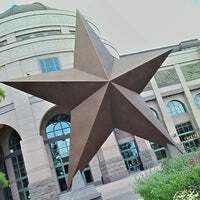 'The Story of Texas' museum offers exhibits, theaters, films and interactive computer displays. 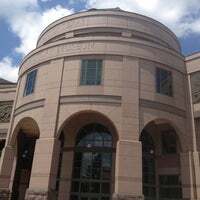 The museum, which opened in 2001, also has Austin's only IMAX theater. Great exhibition on La Belle, a French ship that sank in the bay in the 17th Century. Ground floor. Beware the parking garage. The entrance/exit is super narrow and if you're not careful you'll scrape the wall. This place is great. Some of the statues are a little creepy. There's IMAX movies here too. Check it out if you get a chance. Learn all about Texas in 3 floors, watch an IMAX movie on the largest screen in Texas, catch the Star of Destiny show and so much more! Fabulous museum! A lot of history here. I enjoyed the videos. On the 2nd floor, go to your left rather than straight ahead to enter the timeline at the beginning. Really brings history to life. Fun and engaging place to learn. IMAX 3D theater was great, and I loved the space and aeronautical exhibits. Great museum. I'm a 65 year old born and raised in Texas and I still found it fascinating! 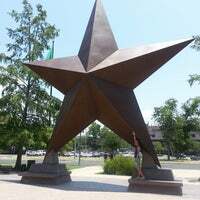 Una excelente manera de impregnarse de la historia de Texas. 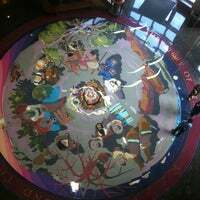 The rug on the second floor is in the design of the state. Nice detail. 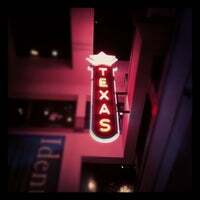 The story of Texas told through interactive exhibits, special effects shows and an IMAX theater. great 1968 exhibit. I learnt so much here about vietnam and that era. 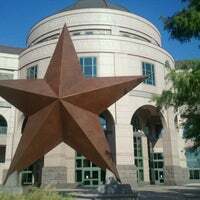 Great free museum that shares the history of Texas! Make sure to check out the Spirit of Texas Theater! Super cool special effects show. Very entertaining museum. Makes history fun to learn. Worth checking out. 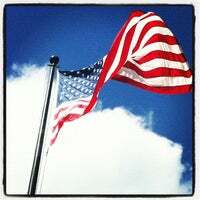 As a true patriot of Texas, I strongly recommend a trip here. Ye haw. The Museum's photo rules changed and now you can snap away without flash! During end of year there are tons of groups of kids for field trips. Avoid that time of year. Come here to learn about Texas history. Parking free after 5 pm for IMAX shows. A dynamic educational institution that engages visitors in the exciting Story of Texas through a variety of programs and exhibit experiences in Austin. "Largest IMAX screen in Texas. Recommend sitting about half way up the stadium seating for best view of this ENORMOUS screen!" 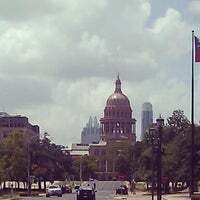 "Must do stop for Austinites and highly recommend for tourists. Al about LBJ but usually some cool temporary exhibit. Don't be afraid to learn something!" "Museum and fun picnic areas with woody trails." 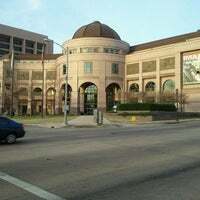 "Located in the Texas Natural Science Center, the Texas Memorial Museum has exhibits on wildlife, dinosaurs, fossils, gems and minerals. Visitors can see the paleontology lab and visit with scientists." "Yoga in the Galleries is every Third Thursday at 6:30PM. Space is limited, so arrive about 20 minutes early to reserve your spot! The openness of the gallery is amazing and worth the early arrival." 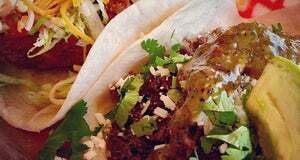 "Awesome food, reasonable prices and one of the best views in Austin on the second-floor outdoor balcony!"